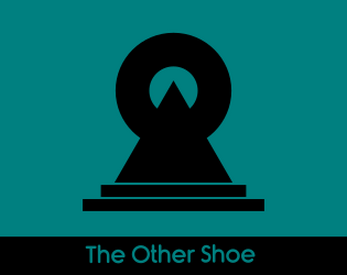 Like it says on the tin, The Other Shoe is a GMless tabletop storytelling game about goal setting and living with an inexorable curse. The curse is a very thinly veiled metaphor for mental illness. ( Oops, I gave it away)! This has been one of my more personal projects, and probably the one that I was most hesitant about putting out into the world, but here goes. Because it's (loosely) based on some pretty heavy personal experiences, The Other Shoe is not explicitly designed to be fun, exciting, or uplifting. Those things are not outside the realm of possibility, but this game can occasionally end up being kind of a bummer. If you are not in a good place right now, you might want to avoid playing it unless and until you feel safe in doing so. Your health and your safety should always come first. Additionally, safety mechanics are an integral part of playing this game, and it is recommended that groups that do decide to run it establish safety rules up front. As to the nitty-gritty, this game supports 2 to 6 players and requires a single, standard deck of Tarot cards to play.